You Can Love With God’s LoveIt was God’s kind of love that brought you to Christ. It is this kind of love that is able to sustain and encourage you each day. Through His love in you, you can bring others to Christ and minister to fellow believers as God has commanded. This truth is not new. It has been recorded in God’s Word for two thousand years. But it was a new discovery to me that early morning some years ago and, since that time, to many thousands of other Christians with whom I have shared it. When I began to practice loving by faith, I found that problems of tension with other individuals seemed to disappear, often miraculously. 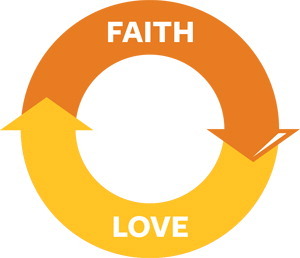 Adapted from the Transferable Concept: How You Can Love By Faith, by Dr. Bill Bright, co-founder of Campus Crusade for Christ. © Cru. All rights reserved.